"If, the mountains could speak?’ What secrets would they reveal and what stories would they tell? Whilst researching information for the Nov. 2009 Newsletter (‘God’s Beloved Mountains’) we discovered fascinating events that took place on and surrounding the Mountains of Israel. In this article, we will look at some of the mountains and events that took place. However so vast is the history that we could only just touch on it briefly. When compared to the mountains of South Africa, Europe, Asia and America, the mountains of the land of the Bible are not considered of any great height. What gives the mountains of Israel their great appearance is their close proximity to the Mediterranean Sea in the West and the Dead Sea in the South West, which is 1,300 M below sea level. 2. As part of God’s creation (Psalm 104:8). 3. As geographical boundaries (Joshua 13:8). 5. A scene of military combat (1Samuel 23:26). 6. A place for animals (Psalms 11:1; 104:10 and 1Samuel:26: 20). 7. A place of refuge (Judges 6:2). 8. For spiritual retreat (1Kings 19:8). 9. A sign of God’s power over nature (Psalm 97:5). 11. Or obstacles (Zechariah 4:7 and Matthew 17:20). The Mountains of Israel fall into two distinct groups that are divided east and west by the Jordan River. All the mountains west of the Jordan River are a part of the central range. They are listed north to south… the Lebanon range and Mt. Gebel Yarmuk in upper Galilee, the Horns of Hattin (near the traditional Mount of Beatitudes), Mt. Arbel, Mt. Carmel, Mt. Tabor, the hill of Moreh or "little Hermon", Mt. Gilboa, Mt. Ebal, Mt. Gerizin, Mt. Moriah, Mt. Zion, and the Mount of Olives. The mountains on the east of the Jordan are higher and steeper than those on the west. Proceeding north to south they include Mt. Hermon, Mt. Gilead, and Mt. Nebo from which Moses surveyed the Promise Land. Because Israel’s mountains are so often spoken of in the Scripture and are such integral part of God’s Promised Land we will briefly discuss some of the most important ones and their significant importance. Mount Arbel is situated on the west side of the Sea of Galilee and offers a wonderful panoramic view of the basin below. The mountain is named after the city Arbela of Galilee. Arbela is most likely the same as Beth Arbel spoken of by the prophet Isaiah in Isaiah 10:14. A Syrian general named Bacchides was sent with a large army to crush the Maccabean revolt to protect the Hellenizers in this area. He defeated Judas Maccabeus in the plain of Arbel. The place of the battle was named Messaloth in Arbela. Messaloth was the name of the caves in the vicinity of Arbela to which the besieged Jews fled. To the Jewish nation Arbela is another Masada. Arbela’s caves are described as hideous because the Zealots (see article on Hanukah December 2008) were pulled out violently with hooks by the Romans soldiers. Herod also had his men lowered over the cliffs by ropes where they pulled the people out of the caves and dropped them to their deaths. What horrifying tragedy happened to the Jews at Masada? On the border between the Judean desert and the Dead Sea valley raises Masada, a rocky mountain separated from the cliffs, to form a natural fortress. Decades after Yeshua’s (Jesus) death, Zealots engineered a revolt against Rome. The uprising was brutally stamped out and ended with Jerusalem’s destruction in 70 AD. Survivors fled to Masada, a fortress built by Herod near the Dead Sea. 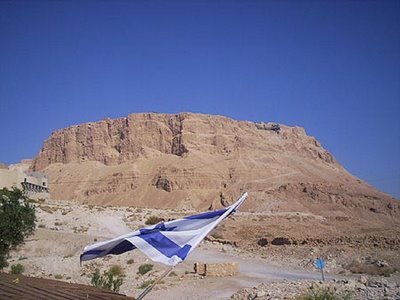 Today, the excavated remains of Masada have become a national symbol for all Israelis. Here 900 Zealots held out until the year 73 AD. Then, the inevitable day came when 15,000 Roman troops breached its walls. Since it was late in the day, the Romans delayed the final attack until dawn. That night the survivors met and voted for suicide, rather than for capture. "Long ago we resolved to serve neither the Romans, nor anyone other than God An excerpt of the moving speech of Eleazer the leader… Himself, who alone is the true and just Lord of mankind. The time has now come that bids us prove our determination by our deeds." The survivors drew lots and chose 10 men to slay all the rest. Each man lay down on the ground with his wife and children and embraced them. Together, they awaited the blow from the men chosen to deliver it. When the 10 executioners had, unflinchingly, completed their task, they drew lots again to see who would kill the other 9, and then, take his own life. At dawn, the Romans poured through the breached walls. Fires burned quietly everywhere. A ghostly stillness hung over the air. Finally, 2 old women and 3 small children came out of hiding to tell the story. The name "Mount of Beatitudes" is described as the area where Yeshua (Jesus) delivered the ‘Sermon on the Mount.’ (Matthew 5:1 – 12) The Mount of Beatitudes is up the slope of the hill on the north end of the Sea of Galilee. The mountain, where Yeshua possibly stayed time and time again, (Mark 6:45 – 46; John 6:14 – 15) rose above the springs of Ma-Gadan. Verbal test has been conducted that demonstrate that a voice could be carried down the hill by the wind at certain times of the year and heard over 2 kilometres away. On the hill facing the lake is a grotto known as the Eremos Cave which is situated below a hanging cliff. Here Yeshua could find shelter from the damp evening winds and solitude for prayer. The word ‘beatitudes’ is derived from the Latin word beautitudo (Romans 4:6 - 8 and Psalm 32: 1 – 2) and this word meant that the declaration of ‘blessedness’ and has been attached specifically to the words of blessing which began Yeshua’s proclamation in Matthew 5: 1 – 12. The New Testament ‘Beatitudes’ differs from the Old Testament ‘Beatitudes’ (i.e. Psalm 41:1; Job 5:17 and Proverbs 8:34 and many others) in one important aspect, the beatitudes of the New Testament stress the future joy of participating more in eternity rather than in the rewards of this earthly life. Those who appear to be unfortunate in this present earthly life i.e. the poor, the stressed, the barren and martyred, are those who are declared blessed because of their readiness for their eternal kingdom. Capernaum, Chorazin, Bethsaida; the cities where Yeshua did many miracles and for their unbelief they were cursed (Matthew 11:20 – 24) as well as Tabgha that has three important Gospel events – the Sermon on the Mount (Matthew 5:1 – 12) – the Multiplication of the bread and fish (Matthew 14:19) – where the Lord commission Peter to feed His sheep (John 21:16) are mentioned in the New Testament and are in the vicinity of the Sea of Galilee and the Mount of Beatitudes. The city of Haifa lies on the northern slopes of Mount Carmel. Though it is not directly mentioned in the Bible, Haifa does have significant associations with Biblical characters; such as the prophets Elijah, Elisha as well as King Ahab and Jezebel. The first historical mention of Mount Carmel is focused in the Egyptian writings of Ramses and suggests that it was an early holy place and sanctuary. In the Old Testament, an altar to Baal was set up on the mountain. In the Hellenistic times, a temple of Zeus was erected. It was here that Elijah challenged the prophets of Baal when God supported his ministry with supernatural fire (1Kings18:19 – 40). Mount Carmel is often used paradoxically in scripture as a ‘beautiful fruitful place’ (Isaiah 35:2; Jeremiah 50:19 and Micah 7:14) – and as a picture of decay, desolation and God’s judgement (Isaiah 33:9; Amos 1:2 and Nahum 1:4). The word Carmel is a contraction of a Hebrew word that means "vineyard of God" (2 Chronicles 26:10), "fruitful garden or orchard." It was also from this mountain that Elijah, after discrediting the god’s of Jezebel and slaying the prophets of Baal, prayed for rain that ended the three and half years of drought (1 Kings 18:41 – 46). There are several caves on Mount Carmel that have historical significance. A small cave on the mountain is held sacred by both Christians and Jews. In the Christian tradition it is believed to be the place where the prophet Elijah lived. In the Jewish tradition the cave is connected to Elijah’s pupil, Elisha, who is believed to have been buried there. It is also believed that Elijah hid in a cave from Jezebel and the cave is known as ‘the cave of Elijah.’ The prophet Elisha, who received the double portion of Elijah’s anointing also, lived on Mount Carmel. It was from this sight that he was called to raise the Shunammite woman’s son from the dead (2 Kings 4: 17 – 27). Could it be that the Shunammite woman’ words inspired the writer of the well known song "it is well with my soul" when thinking on the passing of his own children? "When peace like a river attendeth my way, when sorrows like sea billows roll; whatever my lot, thou has taught me to say, ‘It is well, it is well, with my soul!’"
Mount Gilboa stands at an elevation of 1,630 ft and means either "hill country" or "bubbling fountain." It is one of the two mountains that over looks the Jezreel valley or Megiddo. The other is the "hill of Morech" also known as "little Hermon." Mount Gilboa is best known as the place where Saul and Jonathan were slain in the battle with the Philistines (1 Samuel 31:1 – 8). Saul chose to defend Gilboa and used the high ground of the mountain as an advantage over the superior weapons of the Philistines. After the battle his body was fastened to the wall of the Canaanite city fortress of Beth She’an. King David sang a lament over the tragedy and cursed Mount Gilboa (2 Samuel 1:17 – 27). Mount Gilboa was more than likely the location of Gideon’s camp in the famous conflict recorded in Judges 7:1. Jezreel is the Old Testament name for the valley that separates Galilee from Samaria. The significance of Jezreel is two-fold; first of all it means "God sows" or "May God make fruitful." It is the bread basket of Modern Israel. 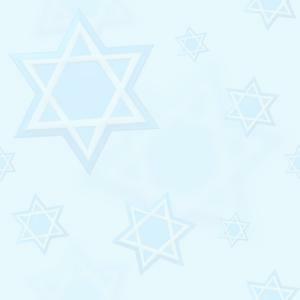 The second; is that the name of the valley records one of the most violent periods in the history of Israel. There are two prominent locations that mark Yeshua’s temptation. The first is Mount Qurantal the summit of this mountain overlooks the Jericho valley, the Dead Sea, Moab, Gilead, the northern Judean desert and the Jerusalem mountains. Near the Dead Sea is a terrible wilderness (15 X 35 miles), known as Geshimmon which means, "The Devastation." William Barkley notes… "the hills were like desert heaps; the limestone looked blistered and peeling, the rocks were bare, jagged and the ground sounded hollow to the horse’s hooves; it glowed with heat like a vast furnace and ran out to heights of 1,200 metres which swooped down to the Dead Sea." It was in that awesome devastation that Yeshua was tempted (Matthew 4: 1 – 11). The Latin word Quarantena meaning "forty" and according to the Word of God, Yeshua (Jesus) fasted for forty days and was tempted by the devil in the vicinity of this mountain. To be tested, could mean either; in a good way (to prove the nature of a person) or with an evil intent (to incite a person to sin). Yeshua was tempted in every way, yet without sin (Hebrews 4: 15). Jewish thought promoted the concept that a man of God could prove his faith through trials. It was on Mount Nebo that Moses was to die after his final blessing of the people. From this vantage point the Lord showed him the Land of Promise (Deuteronomy 34: 1 – 6). Upon entering the Land Of Canaan, the Hebrews were to confirm their covenant with Yahweh, the ceremony involved a dramatic of the promises contained in the covenant. It meant blessing for obedience to the covenant and cursing for disobedience. Mount Ebal was selected as the mount of cursing. Mount Ebal with its stark rock and barrenness of vegetation provides the appearance of a curse and stands in contrast to the fruitful Mount Gerizim. Those who were to live in the north and the east of the Jordan were to pronounce the curses on Mount Ebal (Deuteronomy 27:13 – 26) and six tribes were to stand on Mount Gerizim to do the blessings (Deuteronomy 28). Mount Sinai is mention 50 times in the Bible as the place where Yahweh revealed His Word. The name probably means "shining." Exodus 19:14; Exodus 19:24; Exodus 24:4 – 8; Exodus 5:1 – 31 The Mount Sinai and Mount Horeb appear to be the same mountain. Mount Tabor has been considered one of the holiest sites in Israel since the 4th century. The primary fame of Mount Tabor is its possible identification as the Mount of Transfiguration. The other possible site is Mount Hermon. Though the actual site is not specifically named in the Gospels (Matthew 17:1 – 8, Mark 9:2 – 8; Luke 9:28 – 36) and is referred to only as the holy mountain. The Mount of Olives has both Old and New Testament distinction. It has been an eventful location in the history of Jerusalem. According to the Talmud, the burning of the unblemished red heifer was performed so that its ashes could purify the priests before they entered the temple (Numbers 19:1 – 10). The mount also provided the storehouses for the temple. The Mount of Olives stands as the highest in the series of hills that lie to the east of Jerusalem. Tradition has it, that the olive branch which was retrieved by the dove sent out from Noah’s ark came from the Mount of Olives (Genesis 8:11). On the lower slopes is the "Garden of Gethsemane" where Yeshua often retreated and agonized in prayer before His crucifixion. The Jewish writings state that the Jews in Jerusalem announced the new moon from the Mount of Olives to their exiled brethren in Babylon, hence Jewish usage of the "mountain of lights." Amazingly Christians are waiting for the return of the Lord "the light of the world" who will be returning to this same place! (Matthew 24:1- 4) The Mount of Olives has special significance to Jews who believe that the Messiah will descend upon the mountain and proceed across the valley to the Golden Gate (closed and sealed for 2,000 years). Hence, the reason the Jewish people is buried there with feet facing towards the Golden Gate (Gate of Mercy). Mount Zion God’s holy hill of habitation in His sacred city. Jerusalem is built on a cluster of five hills: the western hill (the upper city), Zion (the lower city), Mount Moriah, Bezetha (the hill just north of the city) and Ophel (the hill between the lower city and the Temple Mount). In Biblical usage, the term Zion has at least four different applications. First and possibly the earliest, the name Zion was used in reference to the ridge in the south-east section of Jerusalem. Solomon built the temple on what can be called Mount Zion (Psalm 78:68 – 69). The second; Zion was the name of the Jebusite fortress during the period just before King David captured ancient Jerusalem and changed the name to "The City of David." Third; Zion came to refer to Jerusalem itself. Lastly; Zion today refers to the name of the western hill in Jerusalem upon which the tomb of David and the "upper room" reside. Mount Moriah is possibly the best known mount in the vicinity of the Holy City due to its recognized position. It is considered to be the rocky hill top of Jerusalem north of the city (2 Chronicles 3:1). Moriah in Hebrew "Mora" means "fear" and that is appropriate because the reverent fear of God spread around the world from this hill. The significant of the mount is its identification of the spot where Abraham prepared the sacrifice of his son Isaac. Today Mount Moriah is dominated by the Moslem Mosque – the Dome of the Rock. It stands over the sacred rock of sacrifice and the possible location of the Holy of Holies. The Wailing Wall supports the western portion of the Temple Mount. Today this place is the most contested piece of real estate in the whole world! We hope that you were blessed and enjoyed some of the history of the mountains of Israel.